After his wife leaves him and his son stops speaking to him, retired Adelaide engineer Frank whiles away his time sorting out tools in his shed. In a desperate attempt to get him connected with society his daughter, Tracey, buys him a computer and an internet connection. Via random emails he encounters would-be Nollywood filmmaker, Ishaku, whose indefatigable optimism draws him into a world of comforting delusions. After his spur of the moment decision to invest in Ishaku's next movie, Frank takes the desperate measure of flying to Lagos to get his money back. 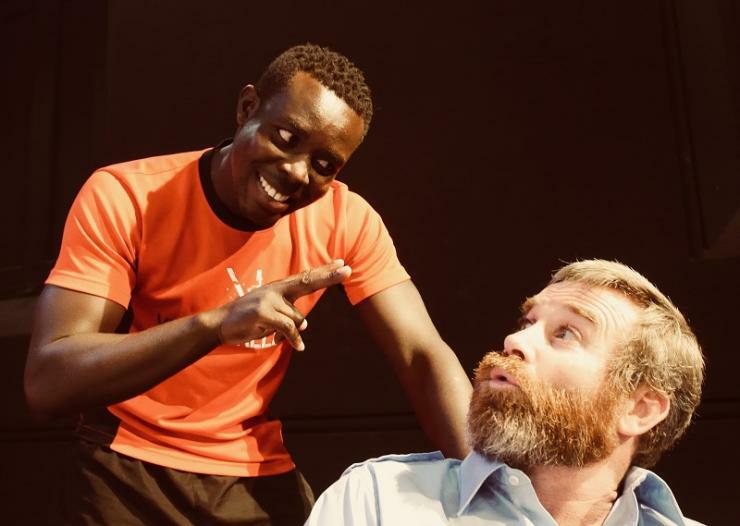 Based on a true story, Frank Forbes and the Yahoo Boy is a play by Adelaide writer and filmmaker Matt Hawkins. Starring Stephen Tongun, Kimberley Fox, and Brendan Cooney. Matt is an AFI nominated playwright, screenwriter and lecturer. After graduating from AFTRS in 2002 He has written extensively for the stage and television in Australia, UK and Ghana. His credits include Always Greener (7 Network) The Micallef Program (ABC) and Different Shades of Blue (GTV, Ghana) as well as awarding winning films The Shot, The Next El Masri and Double Happiness Uranium. A graduate of Flinders University Law School, Stephen is also an actor, MC and professional motivator. His outstanding theatrical performances over the last ten years have included Beckett for Independent Theatre, Don Pedro in Much Ado About Nothing and Oladoe Equiano in My Lover’s Eye by the Company of Muses. 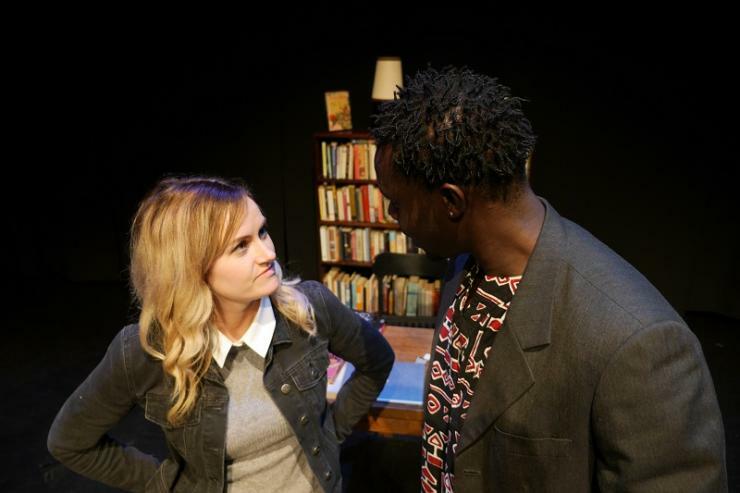 Kimberley is a 2016 graduate of Flinders Drama Centre. Her studies led her to international pursuits where she honed her craft at Columbia College in Chicago. It is here she wrote and performed her first show The Gospel According to Kim.Recently she directed her first musical, Scrooge. Brendan has been a theatrical stalwart in Adelaide for the past 15 years appearing in such productions as Hot Shoe Shuffle, Hairspray, PIGS, Bogans, Men Behaving Badly (MBM), Spamalot (NLTC) Guys and Dolls (G&S) Out of the Ordinary, The Golden Dragon (Bakehouse Theatre) Miss Saigon (MCMT). He has recently appeared in Storm Boy.